This handmade Pottery Cobbler Dish is a deep-dish style cobbler or pie dish with fluted edges, perfect for baking and serving your favorite berry or fruit desserts. 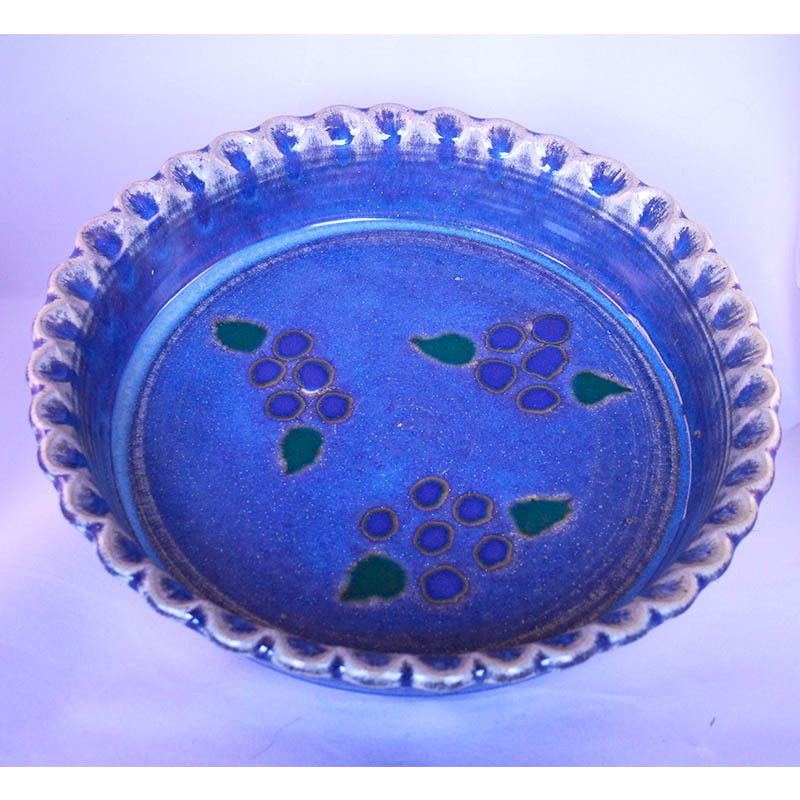 The blueberry design is on a background of blue, and the high-fired stoneware is beautiful as well as oven, microwave and dishwasher safe. A collection of delicious berry recipes for the berry-loving cook.